Lovely suburban area of Philadelphia , just 25 minutes by bus or train from the downtown area. Saint Josephs University is in a safe area near supermarkets, shopping centers and other conveniences. Philadelphia is a historic metropolitan area convenient to Washington D.C. and New York City. 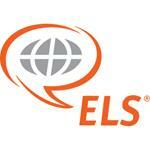 More than 550 U.S. universities, colleges and career schools (including Saint Josephs University) recognize completion of the ELS Intensive English program as satisfaction of their English language admissions requirement, in place of the TOEFL or other exam. The ELS Language Centers University Placement Service can also help students secure placement in a U.S. university, college or career school before they leave home. The center also provides college placement assistance to currently enrolled students. Private customized instruction can also be arranged upon request for additional fees. Free auditing of SJU classes for all ELS Intensive program students in level 107 or above. Internship Experiences at local businesses may also be arranged after arrival. Internship Experiences require at least 2 sessions of the Intensive English program and ELS level 109 completion.